Be in the spot light with your own customized satin sash! It's the perfect party or shower gift to highlight the bride-to-be for her Engagement, Bridal Shower, Bachelorette or Honeymoon. Better yet, get one for ALL the girls in the party and make the bride's a different color! When producing your sash designs we use a high speed laser to cut the delicate designs from a durable, fade free material. You will love the look and feel. 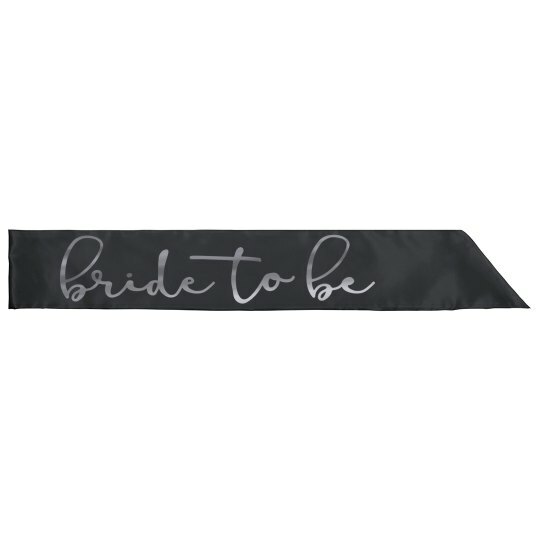 With this satin sash, the bride-to-be will feel special in any situation. Whether it is a bachelorette party, bridal shower, the day of the wedding, or just a relaxing day at home. This is the perfect gift for the bride-to-be.